In February 1851, a committee of three prominent citizens was appointed by the city to name Santa Barbara’s new thoroughfares as surveyed by Salisbury Haley. The committee decided to name streets after prominent families and significant events in the community’s past. One family so honored was the Carrillos, who played a major role both in Santa Barbara’s history and in that of California. The family claimed a distinguished background in its homeland of Spain. One family member, Alonzo Carrillo, Archbishop of Toledo, had been instrumental in arranging the marriage of Ferdinand of Aragon and Isabella of Castile in 1469. (Their daughter, Catherine of Aragon, became King Henry VIII of England’s first wife.) The union of Ferdinand and Isabella was a key event in the development of the Spanish nation. Another Carrillo, Luis, accompanied Vasco Nuñez de Balboa on his 1513 expedition, which resulted in the “discovery” of the Pacific Ocean. The family’s service to the Spanish king continued when Diego Carrillo de Mendoza y Pimentel was appointed viceroy of Mexico in 1621. Carlos Antonio Carrillo, portrait by Leonardo Barbieri. The paterfamilias of the Carrillo family in Alta California was José Raymundo Carrillo. He was born in Loreto, Baja California, in 1749. Twenty years later, he arrived in Alta California as a member of the Gaspar de Portolá expedition. When José Raymundo was married at the Carmel mission near Monterey in 1781, Junipero Serra, padre presidente of the missions of Alta California, presided at the ceremony. José Raymundo went on to a most distinguished military career, including a stint as comandante of the Santa Barbara presidio, 1802-1807. José Raymundo and his wife, Tomasa Lugo, had seven children. One daughter married José de la Guerra, perhaps the most influential Santa Barbaran during the Spanish and Mexican eras. Two sons, Carlos Antonio and José Antonio, became deeply enmeshed in the turgid, chaotic politics of Alta California during the late Mexican era. Carlos Antonio was the oldest of the seven children, born in 1783. For more than 20 years, he enjoyed a successful military career. This included service at the Santa Barbara presidio, and he was active in defending the town against the Argentinean privateer, Hipólito Bouchard, in 1818. After leaving the service, he embarked on a varied political career, which included membership in the Mexican Congress in the early 1830s. In 1831, he wrote a treatise on the Pious Fund, which had been set up to help support the mission system. It is considered one of the earliest books produced in Alta California. In the mid 1830s, he and his brother, José Antonio, became embroiled in California’s revolutionary politics. In 1837, Carlos was declared governor by forces that wanted to move the capital to Los Angeles. Armed conflict broke out between Carlos’s forces and those of former governor, Juan Alvarado. The brothers were defeated, but escaped serious punishment. 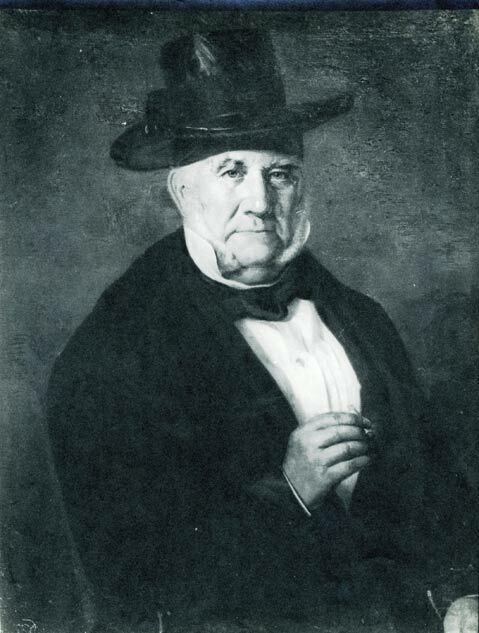 Carlos went on to serve on the Santa Barbara town council in 1849. José Antonio later was a member of California’s Constitutional Convention, which ushered in statehood. A more staid member of the family was Joaquin Carrillo, a grandson of José Raymundo and a nephew of Carlos Antonio. Born in 1813, he, too, served in the military, including time at the Santa Barbara presidio. Under American rule, he became Santa Barbara’s first county judge, then judge of the Second Judicial District, which covered the territory from Los Angeles to Monterey. He served as Santa Barbara mayor in 1851 and was a member of the common council. He also was one of the members of the committee of three that christened Santa Barbara’s streets. Figures of great military and political stature, landowners of significant wealth, tied to the great Californio families through kinship and marriage, the Carrillos were one of the great grandee families of Alta California.